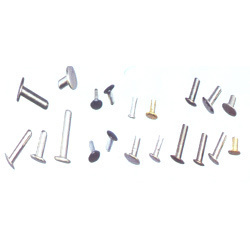 Our product range includes a wide range of bifurcated rivet, steel rivets, metal push rivet, tubular metal bifurcated rivet and sheet metal rivet. We feel immensely pleased to offer an exclusive gamut of Bifurcated Rivet. The offered rivets are manufactured by using quality proven raw material and latest technology by our competent professionals. In order to ensure quality, these rivets are scrupulously tested on several parameters. In tune with international standard, we provide the entire product in several sizes and designs, as per the ever-evolving requirements of our clients. 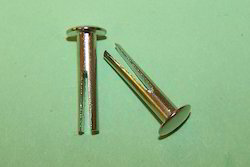 Our clients can avail these rivets from us at market leading prices. Owing to our state-of-art manufacturing unit and the usage of leading technology, we are able to present a comprehensive range of Metal Push Rivet. The offered rivets are manufactured by our qualified professionals employing quality assured raw material and modernize tools. 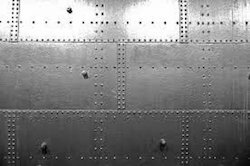 Blind Rivets are commonly used these days to pull together everything, from electronic gears to steel beams in the world’s biggest bridges. 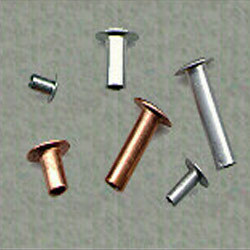 In line with clients' variegated requirements, we bring forth a distinguished collection of the Sheet Metal Rivet. These rivets are designed at our modern manufacturing unit using the quality assured raw material and progressive technology in conformance with defined quality standards. These are demanded for their features like dimensional accuracy, colour, shapes, texture and finish. Being a quality-oriented organization.